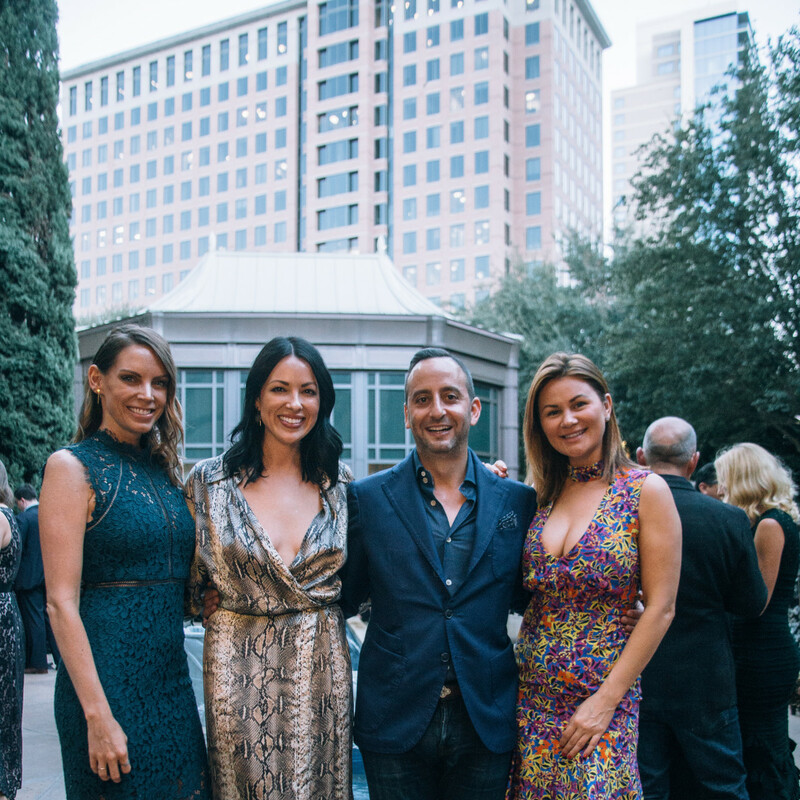 Sparkling wine flowed, instead of rain, at BubblyQ, the annual fundraiser for Young Texans Against Cancer. 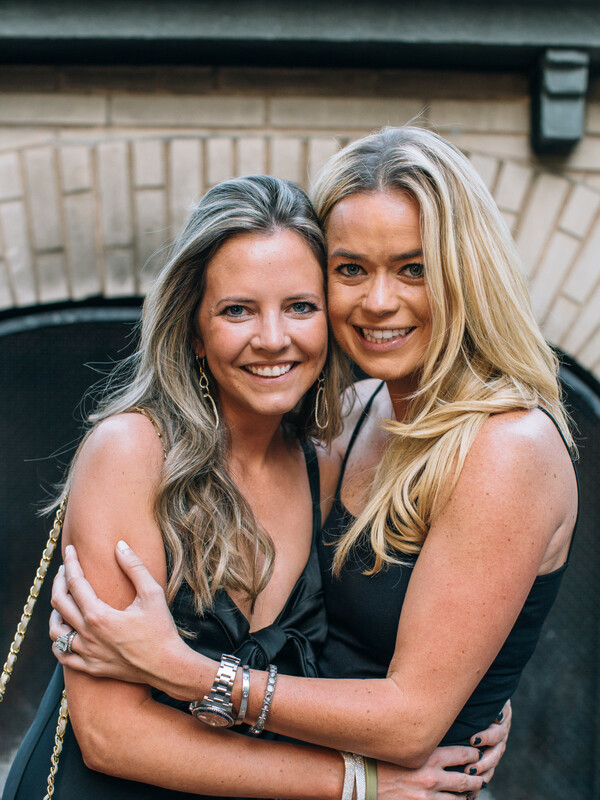 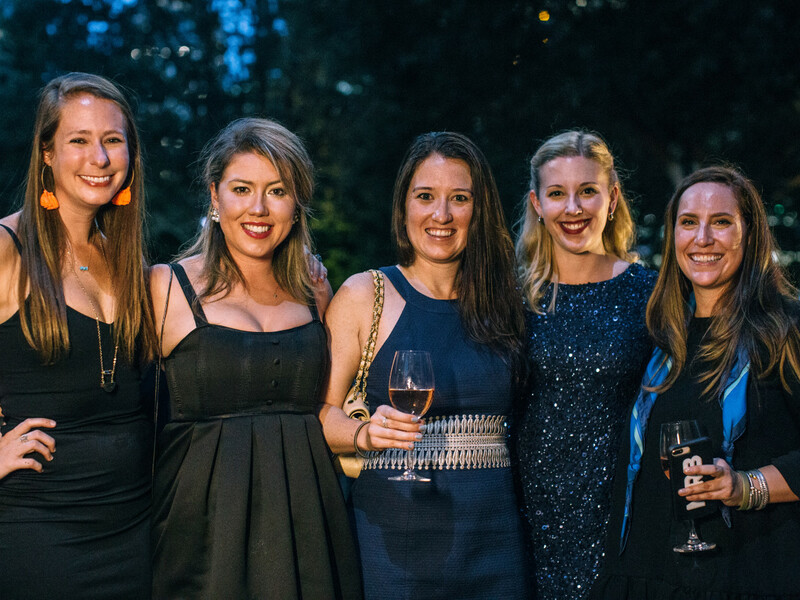 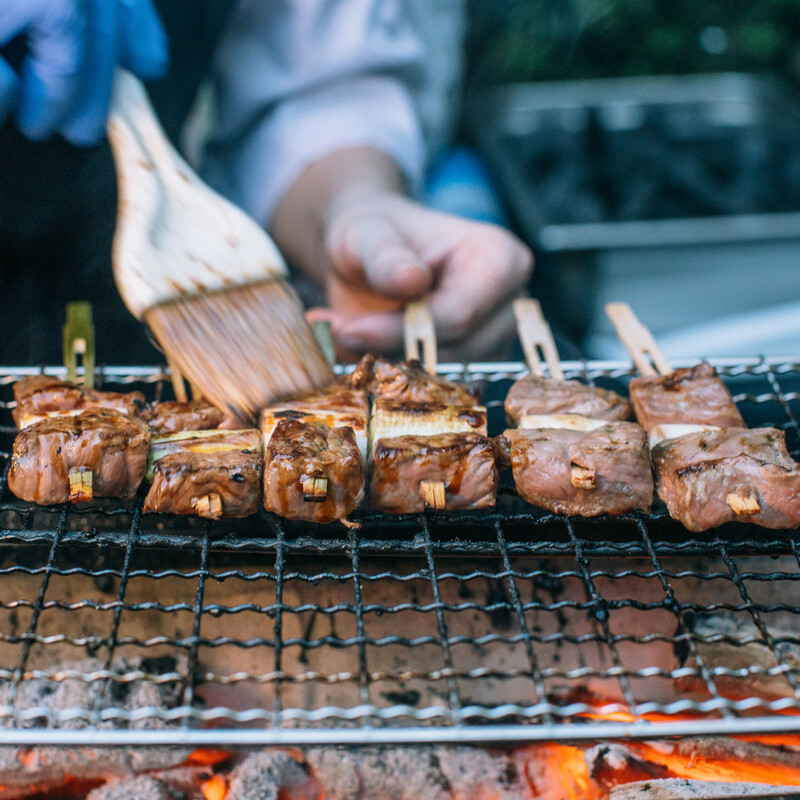 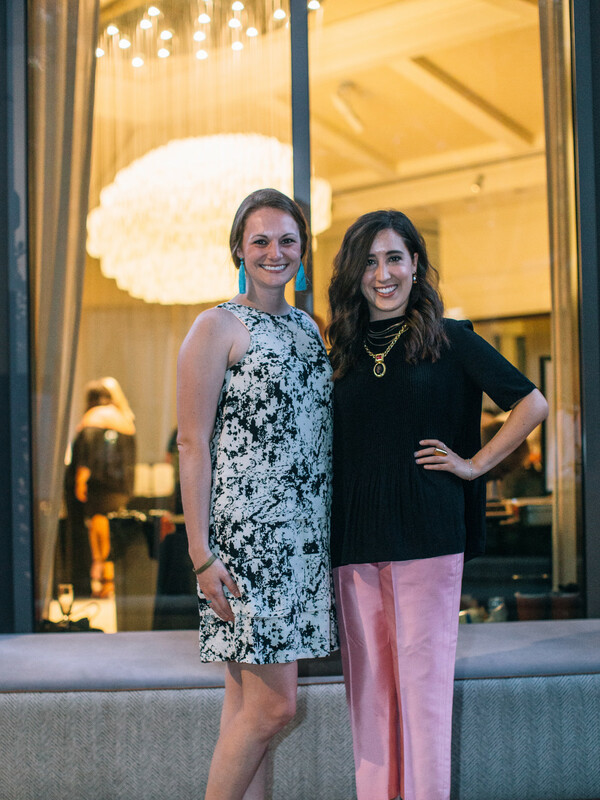 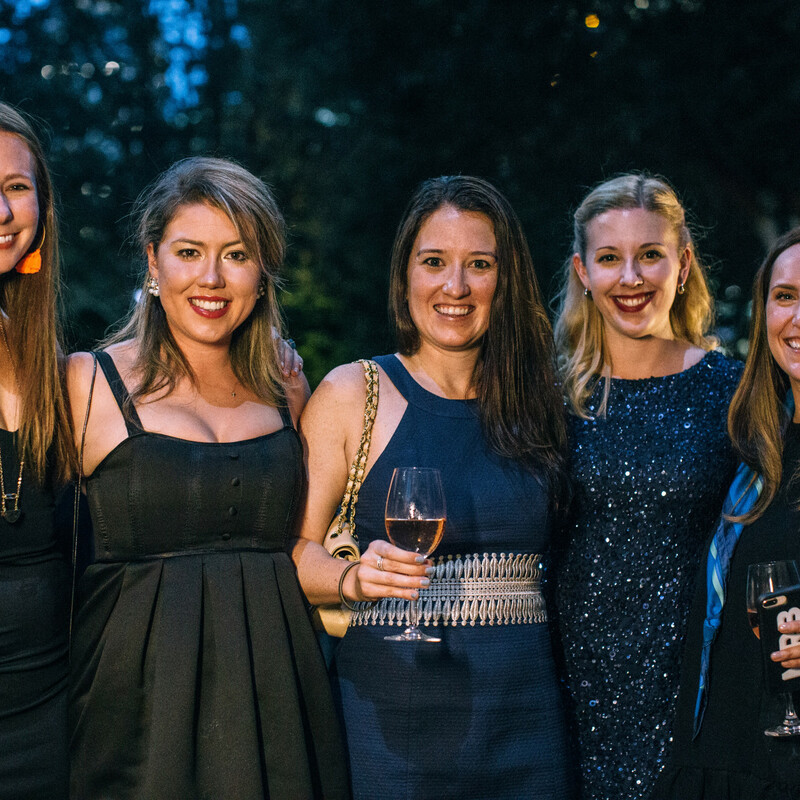 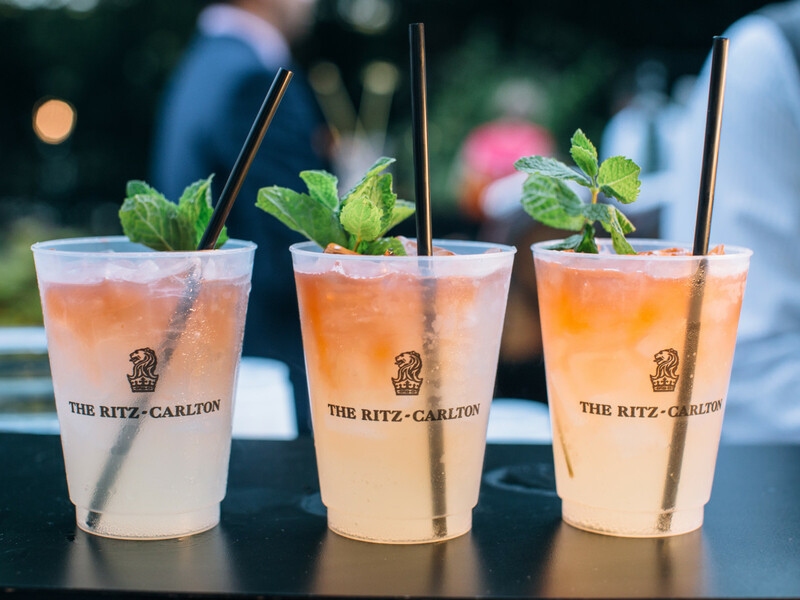 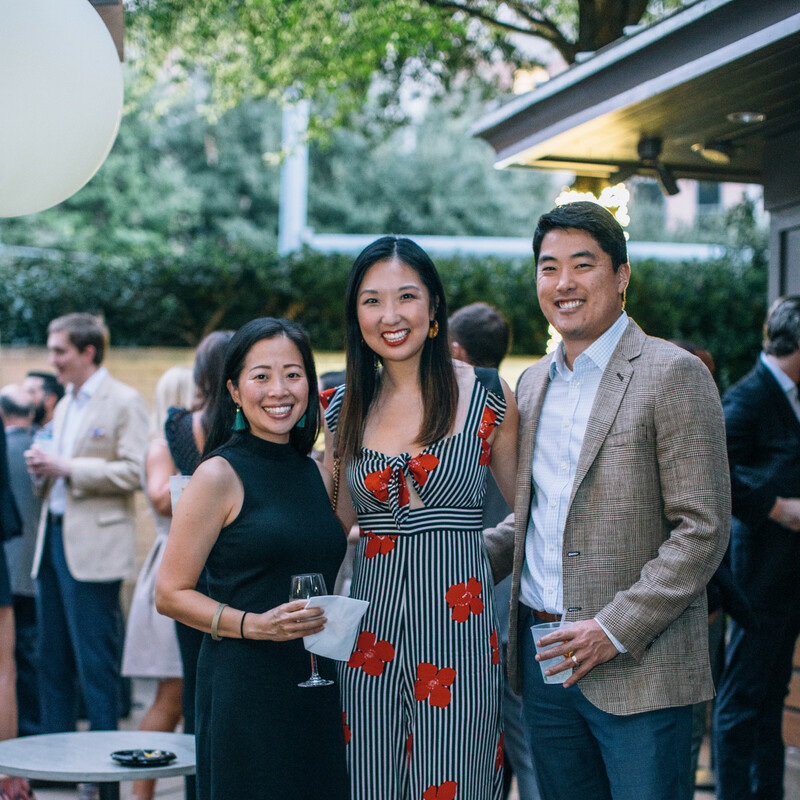 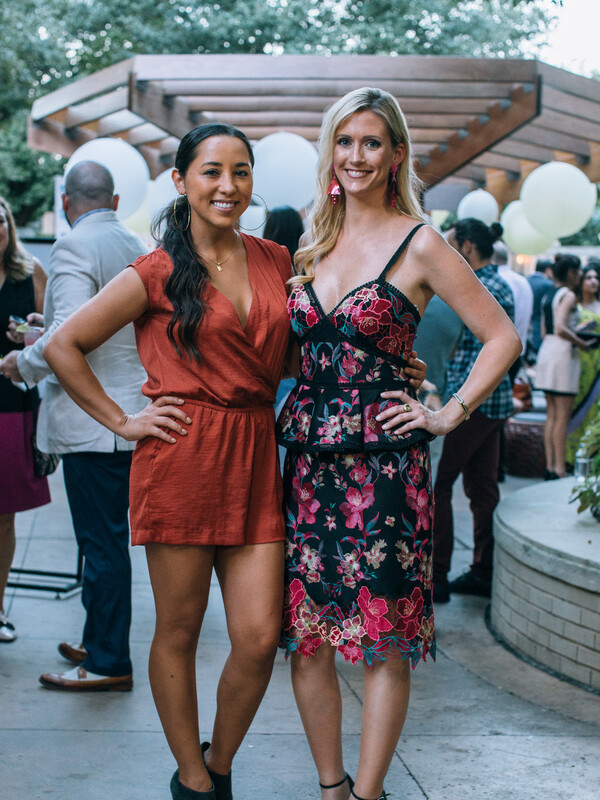 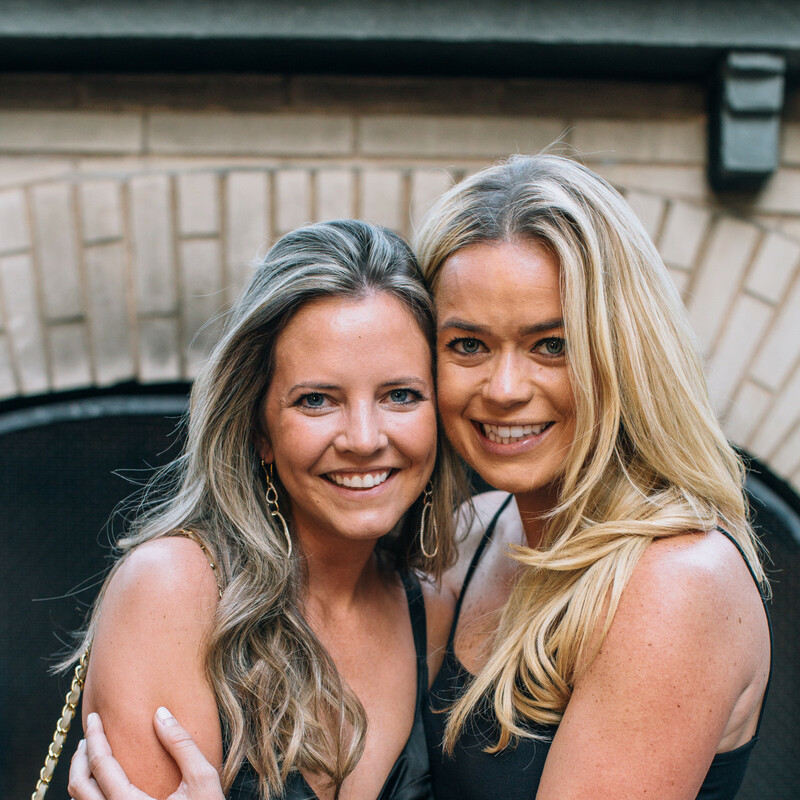 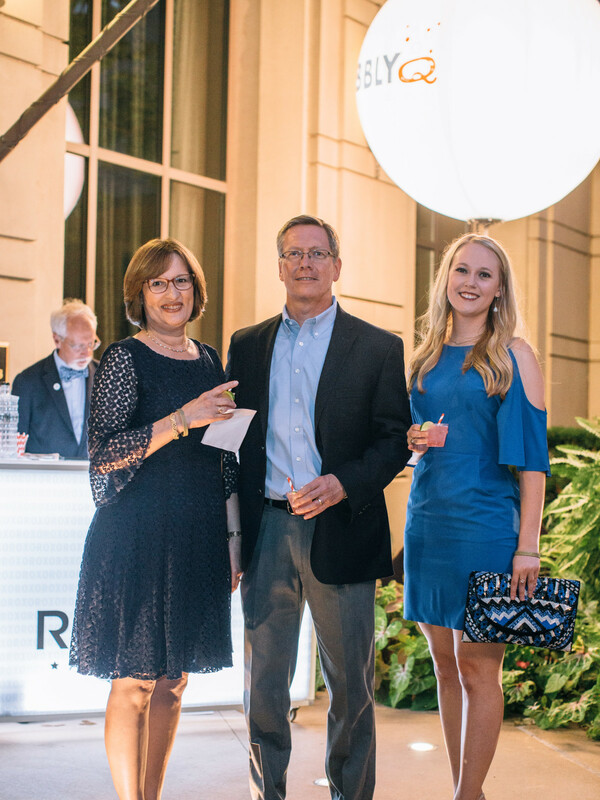 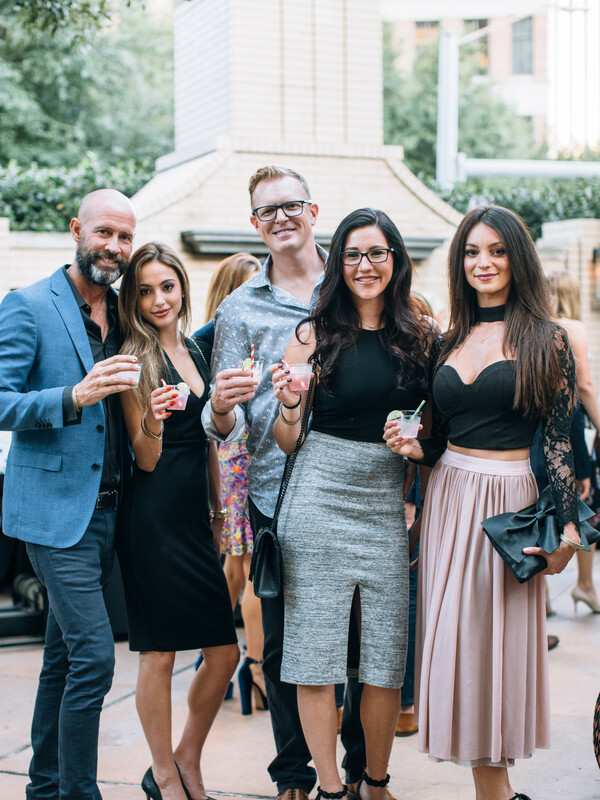 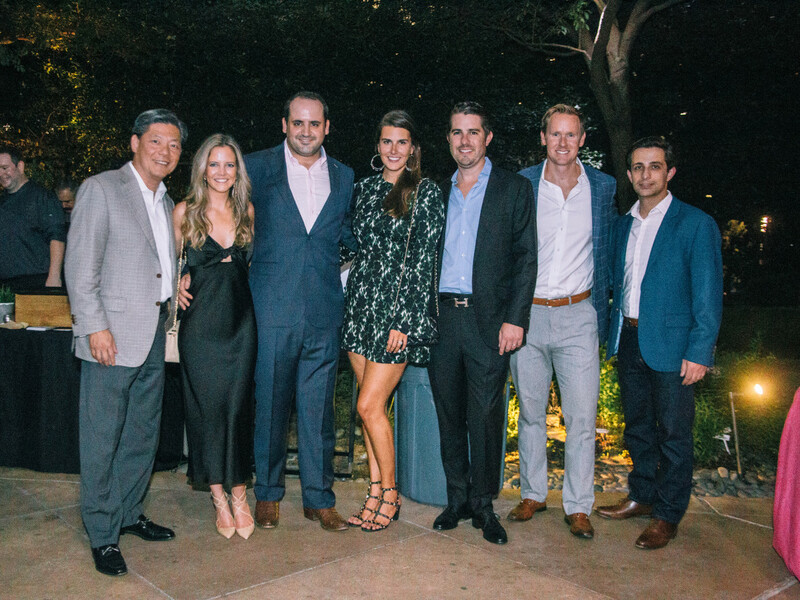 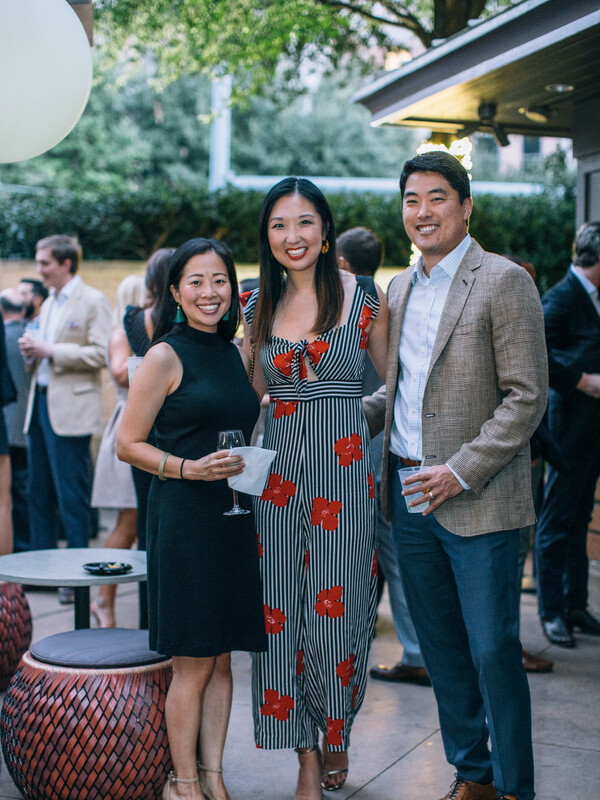 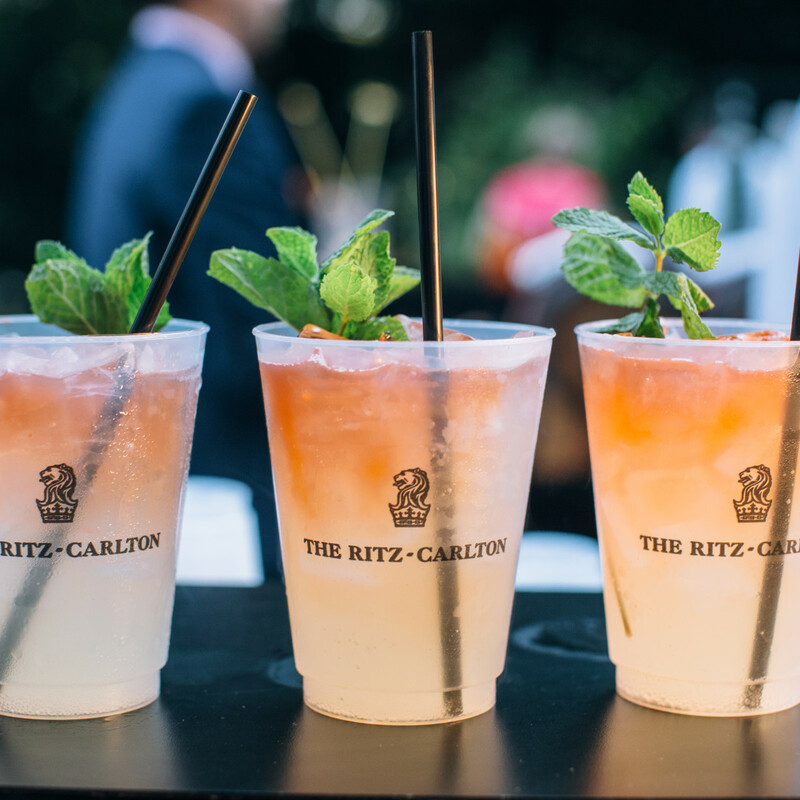 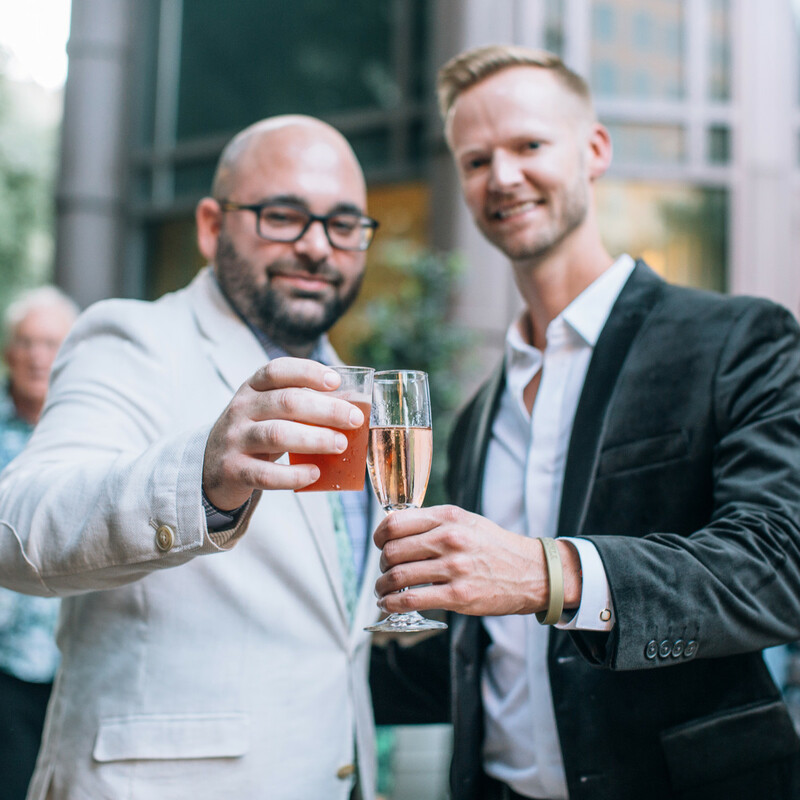 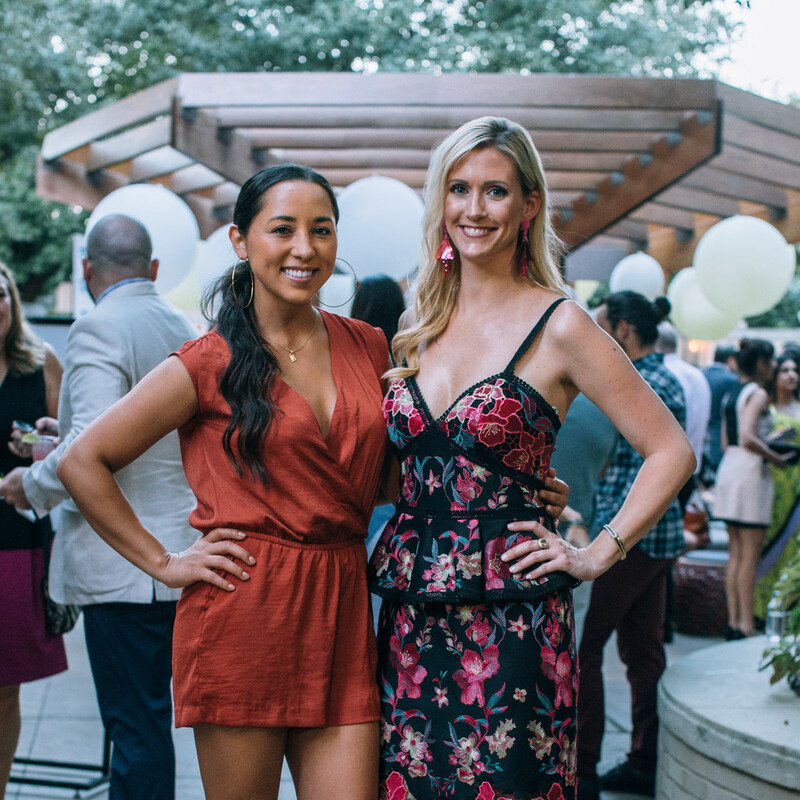 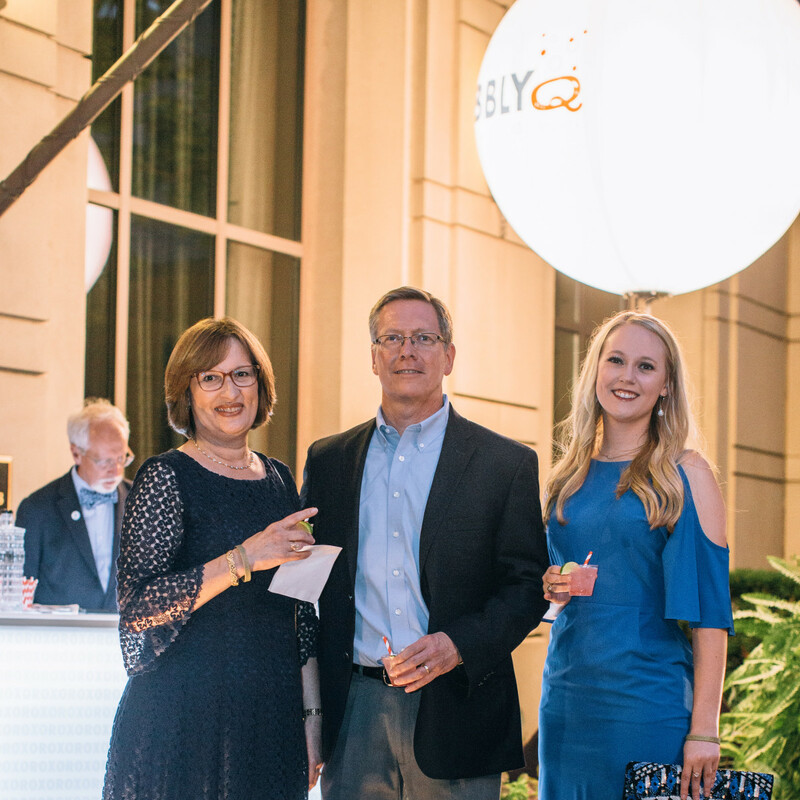 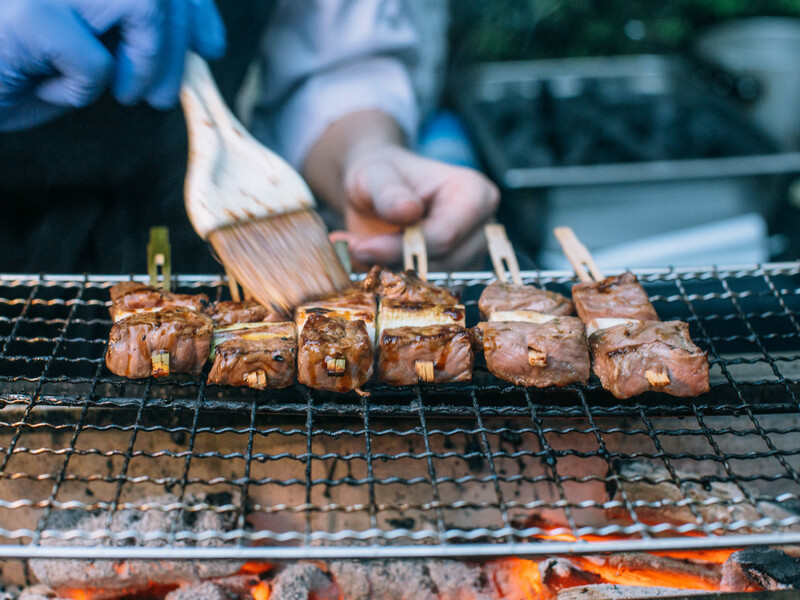 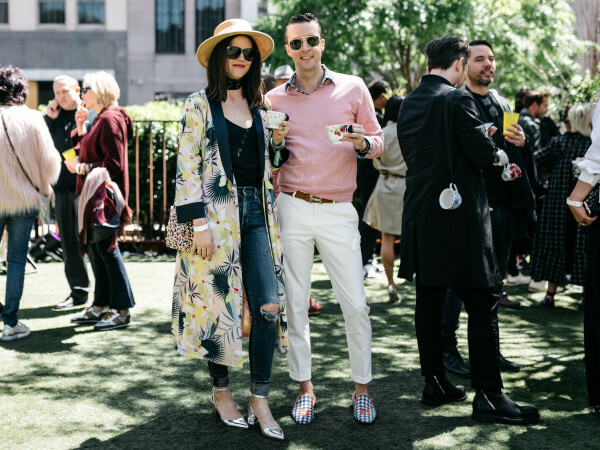 Held on the patio of Fearing's restaurant at The Ritz-Carlton, the must-attend party brings charitable-minded young professionals together with some of Dallas' hottest chefs and bartenders. 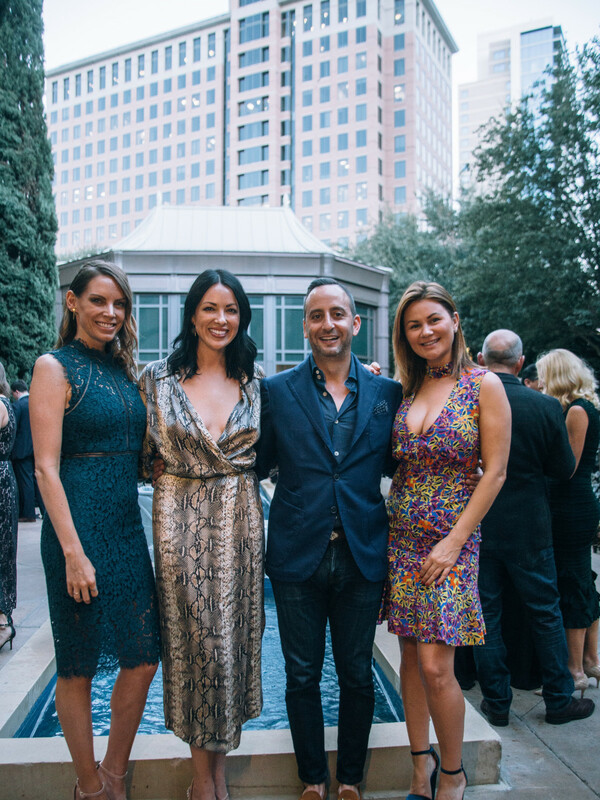 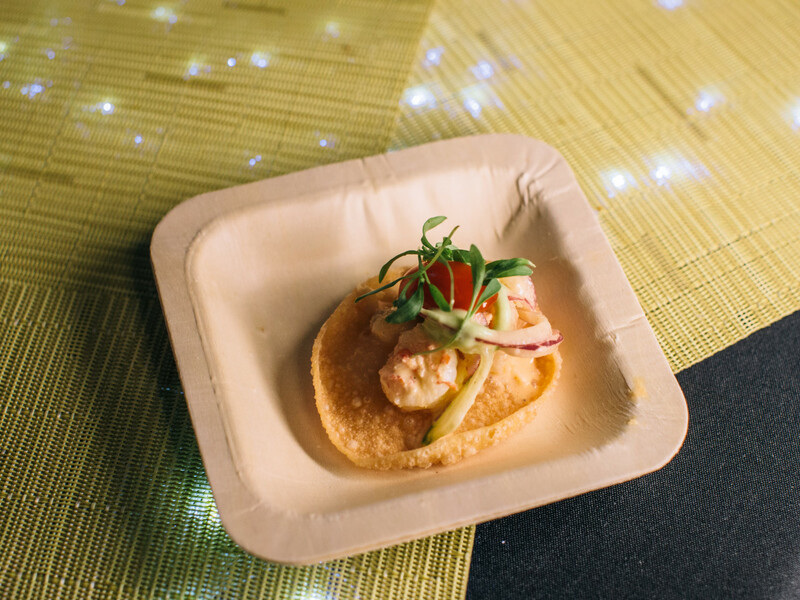 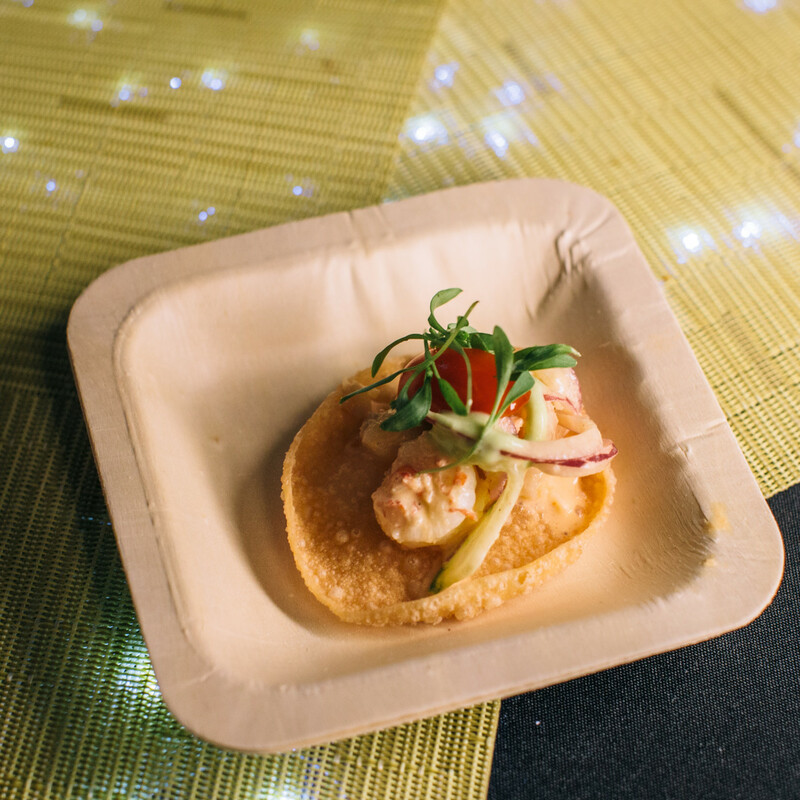 This year, chairs Heather Winn and Vodi Cook and operations chairs Melanie Carroll and Brian Simmons assembled a star lineup that included teams from Parigi, Nobu, Salum, Abacus, Sachet, Al Biernat's and, of course, chef chair Dean Fearing. 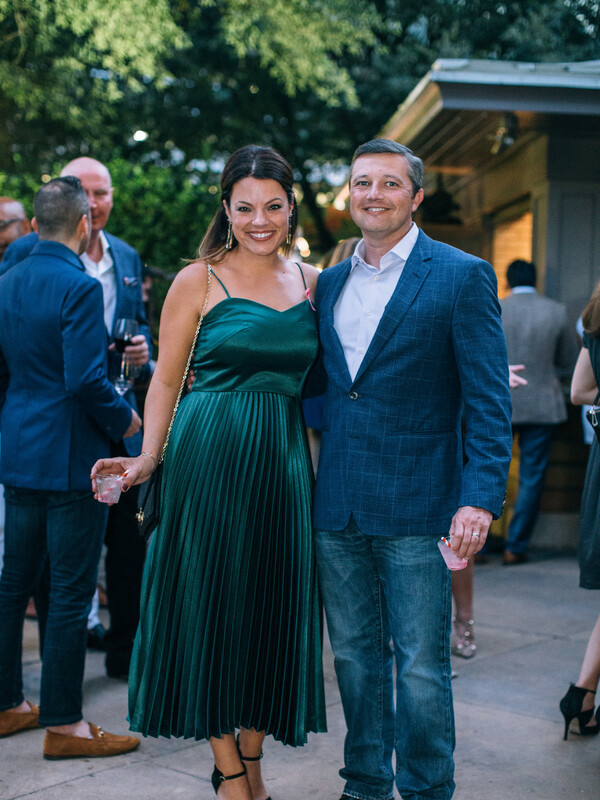 Bartender Eddie "Lucky" Campbell was mixing up some Moscow mules with Deep Ellum vodka and his take on an old fashioned, while Roxor gin offered mini G&Ts to guests as they arrived. 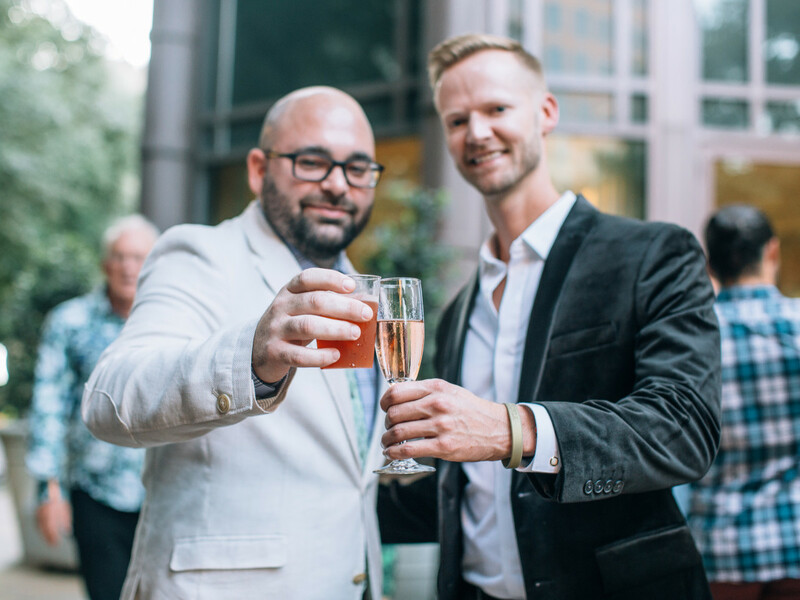 Wine bars dotted the venue, pouring glass after glass of bubbles. 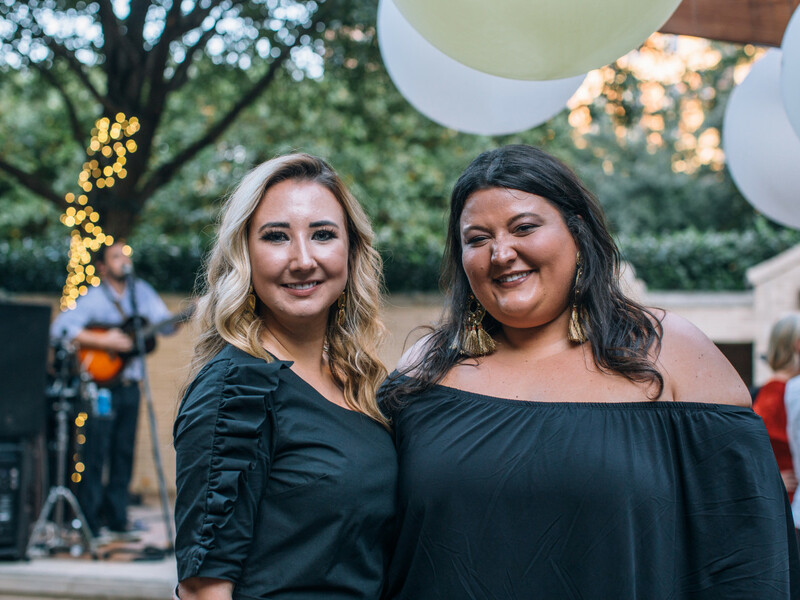 Douglas Adams strummed and sang while the guests mingled in the courtyard, then DJ GIRLBOT took over with a playful mix of pop songs as the night continued. 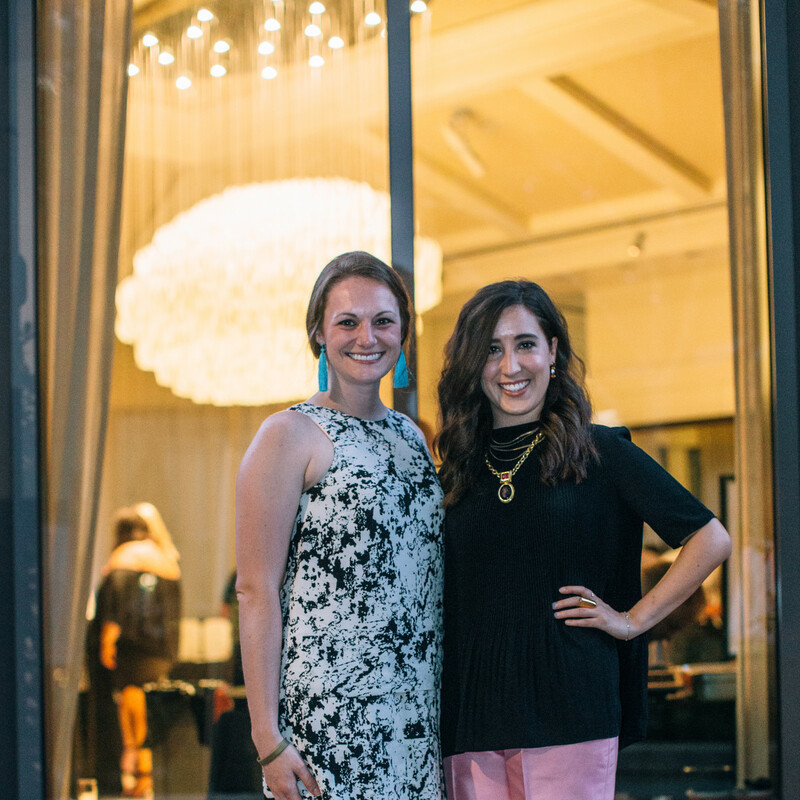 Inside, bidding was fierce at the silent auction organized by auction chairs Mallory Brito and Leila Bergquist. 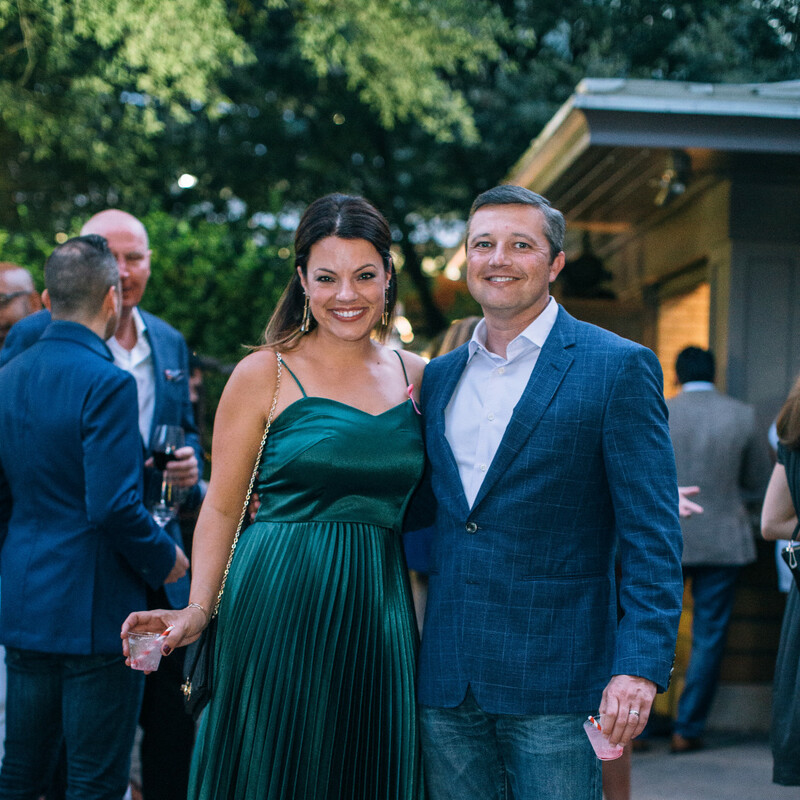 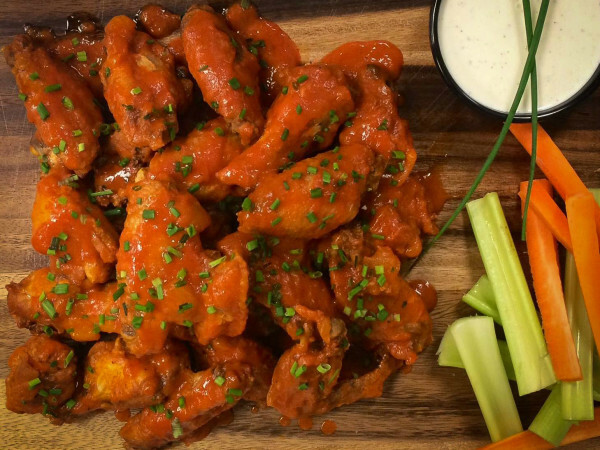 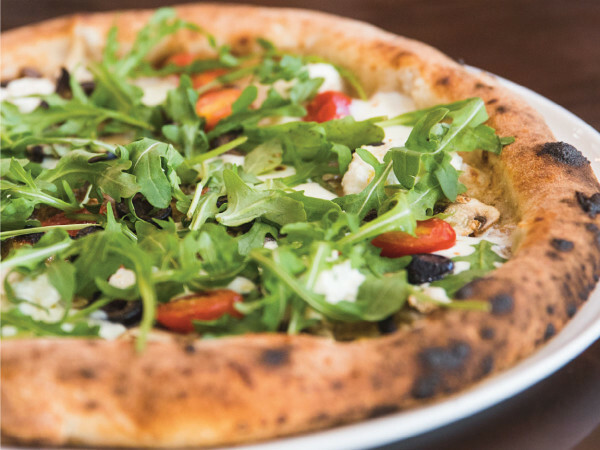 Spa packages, sports memorabilia, sparkly diamond jewelry, club seats for the Texas Rangers, and decadent dining experiences drew interested bidders — even Fearing himself was spotted putting in a bid for a pair of custom Lucchese boots. 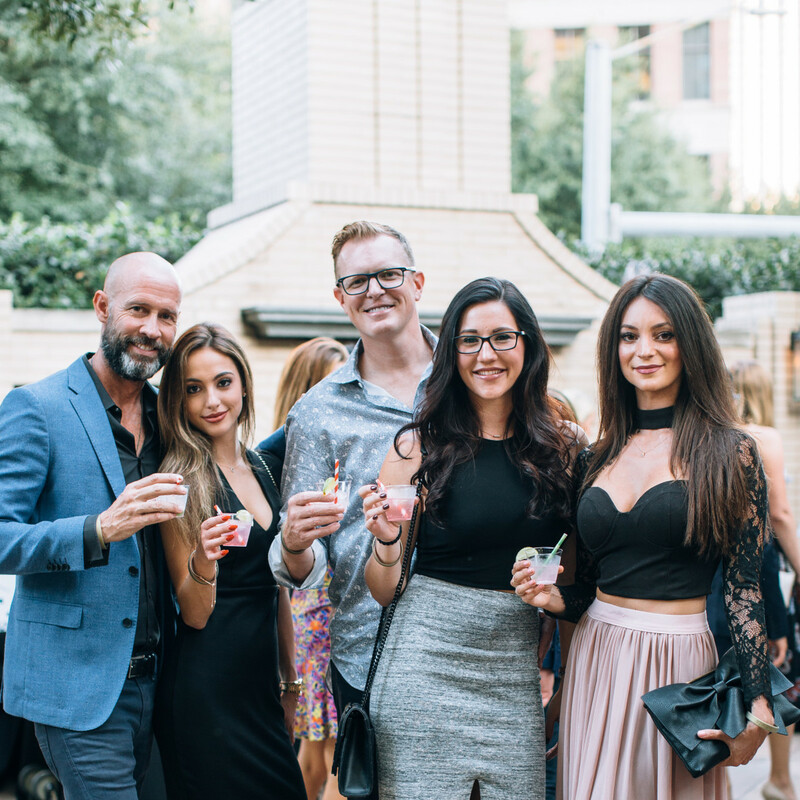 Throughout the night, attendees — including Phuong Tran, Brandon Luke, Amanda Pickering, Marrisa Eddings, Philip Foreman, Justin Rains, Autumn McCall, Will Stroud, and Mallory Brito — could play a game of chance with the wine pull and possibly walk away with a very expensive bottle for only a nominal donation. 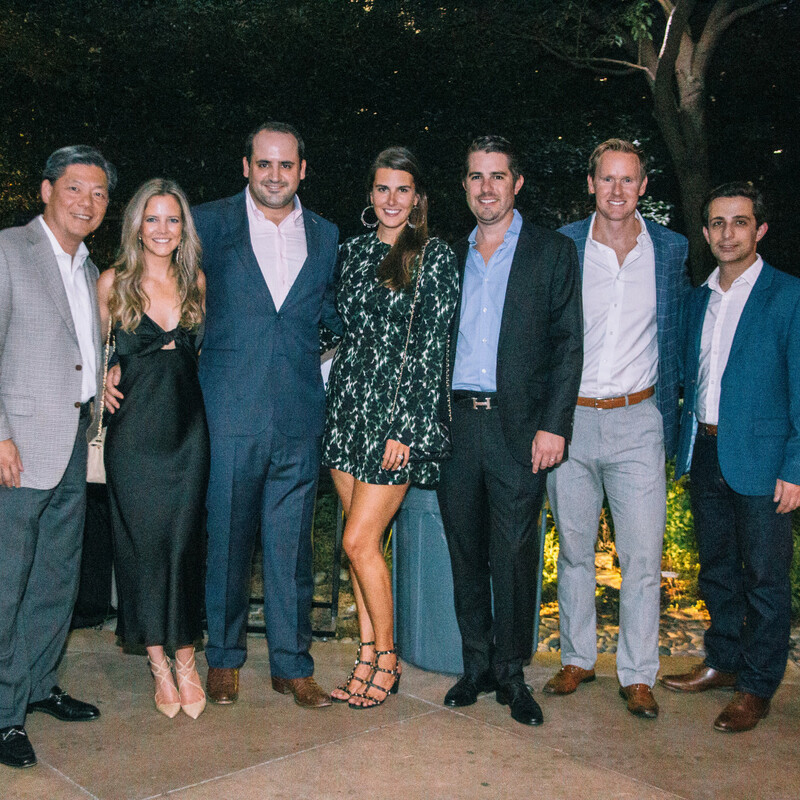 Since its inception in 2008, YTAC has donated over $1 million in support of the fight against cancer. 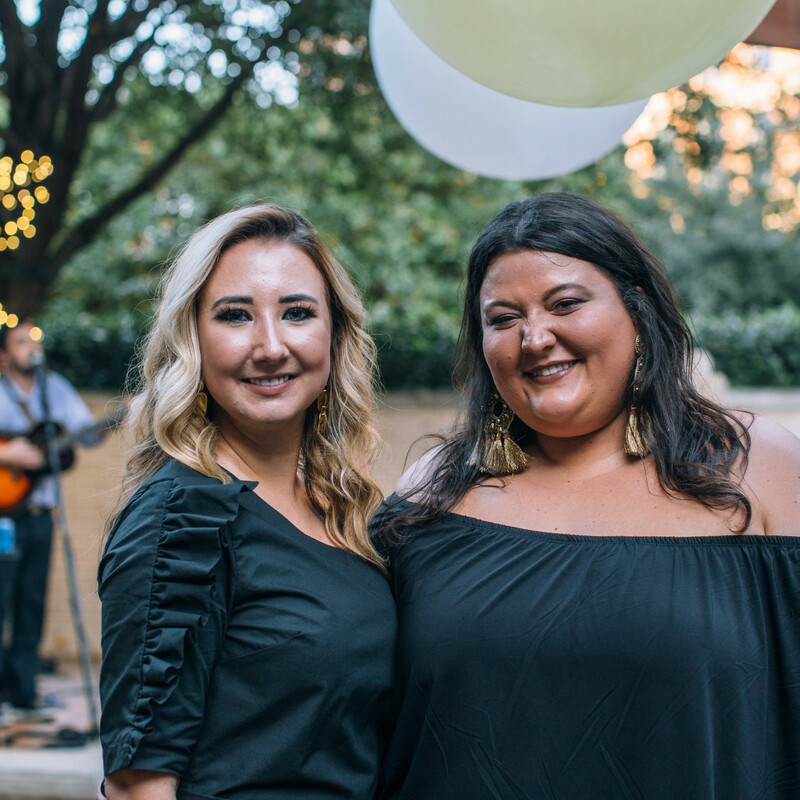 All money from BubblyQ goes to YTAC's beneficiaries, which for 2018 include 1 Million 4 Anna, Leukemia Texas, Mommies In Need, Heroes for Children, Medical City — Camp iHope, Bridge Breast Network, and Methodist Health System.